THE new Parliament make-up includes 10 women. This comprise five in Government and five in the Opposition. 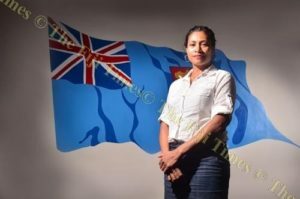 Premila Kumar, Selai Adimaitoga, Veena Bhatnagar, Mereseini Vuniwaqa and Rosy Akbar will make up the 27-member FijiFirst led Government while, Social Democratic Liberal Party members Lynda Tabuya, Ro Teimumu Kepa, Salote Radrodro, Adi Litia Qionibaravi and National Federation Party member Lenora Qereqeretabua will make up the 24-member Opposition. Speaker of Parliament Dr Jiko Luveni described this as wonderful news. “That’s wonderful news that we have increased our percentage of women representation from 16 per cent to 19 per cent and that is progress,” Dr Luveni said. Meanwhile, some notable politicians absent from the FijiFirst party’s new parliament line-up are former minister for Lands and Mineral Resources and Minister for Industry, Trade and Tourism Faiyaz Koya, former assistant minister for Youth and Sports Iliesa Delana and former government members of parliament Brij Lal and Matai Akoula, while in SODELPA, former Opposition MPs Mere Samisoni, Ro Kiniviliame Kiliraki, Jiosefa Dulakiverata, and Semesa Karavaki have also not made the cut to get into Parliament. NFP’s former Opposition MPs Prem Singh and Parmod Chand will also be absent from the NFP Opposition line-up after failing to make the cut.